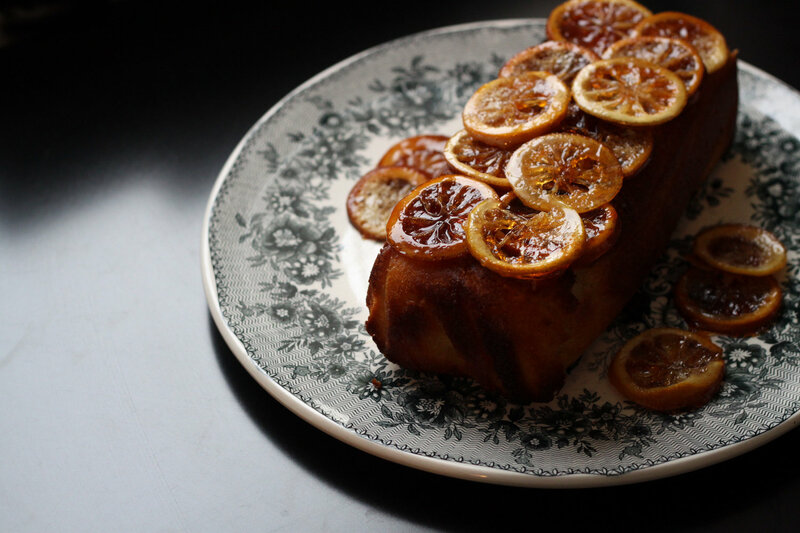 Fingers Crossed: Candied Lemon Cake – Eat Me. Drink Me. Not that rewriting history is anything new. We’ve done it before. We do it again and again and again. I’ve already voted. I have my fingers crossed and my convictions about who will do what’s right. But the point is this: The world doesn’t end after election day. We don’t all have to agree; we don’t have to like the outcome – but we still have to be a country. 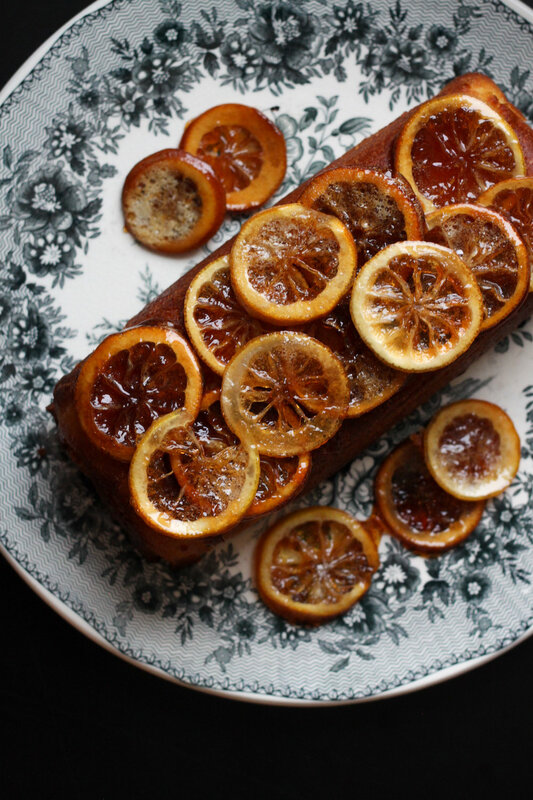 In many ways, the aftermath of an election is like a lemon cake. We’ve taken a handful of lemons – sour, bitter, unpleasant to eat – and done all we can to make them palatable. 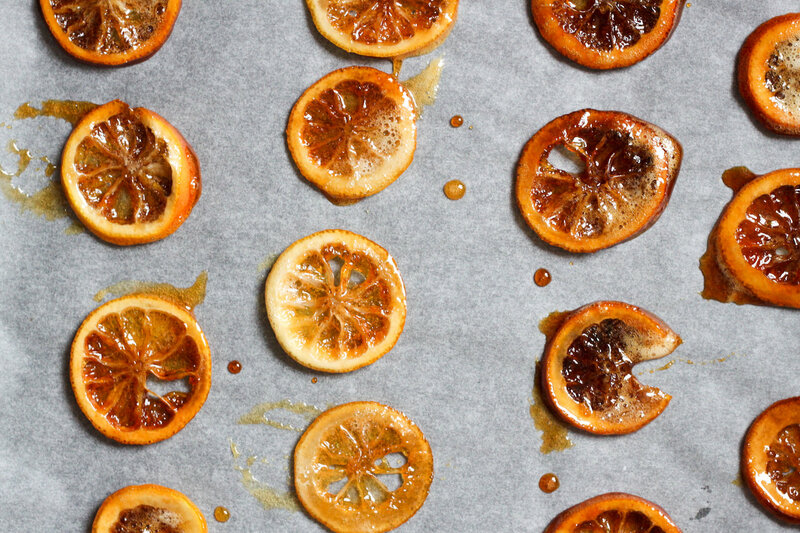 We’ve boiled slices in sugar until they’re candied and sweet as caramel. We’ve grated the peel and juiced the fruit and mashed it with enough butter and sugar to hide the tartness. When we set the cake on the table, it’s a beautiful, jeweled artwork, and when we take a bite it’s deliciously sweet. 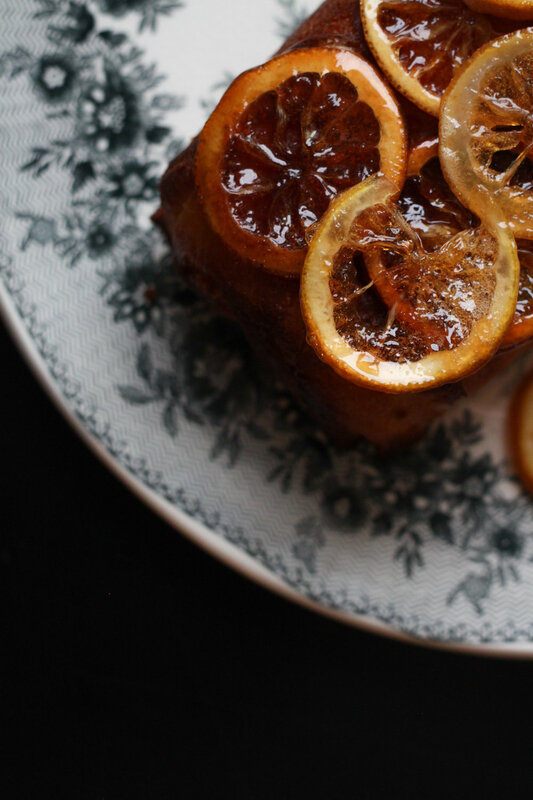 But those candied peels stick in our teeth, the citrus sting refuses to be cowed. It’s not all good and it’s not all bad. It’s complex and varied, a little bit obnoxious and impossible to cut, sour and sweet, saccharine, satisfying. As this election has gone on, I’ve seen a rhetoric of hatred sprout up, exposing issues in America that are deeper than any one candidate. They’re not new; they’ve been there all along. When we wake up tomorrow, we may have a new leader, but we will not be whole. No matter who wins, this is something we’ll have to combat together. And if we continue to talk past each other, if we keep listening only to what we want to hear, if we believe that fact is as fluid as convenience – we never will. It’s important to slice the lemons as thinly as possible for the candied lemon slices – or else they’ll break your teeth. I’m sure there’s another election metaphor in there somewhere. 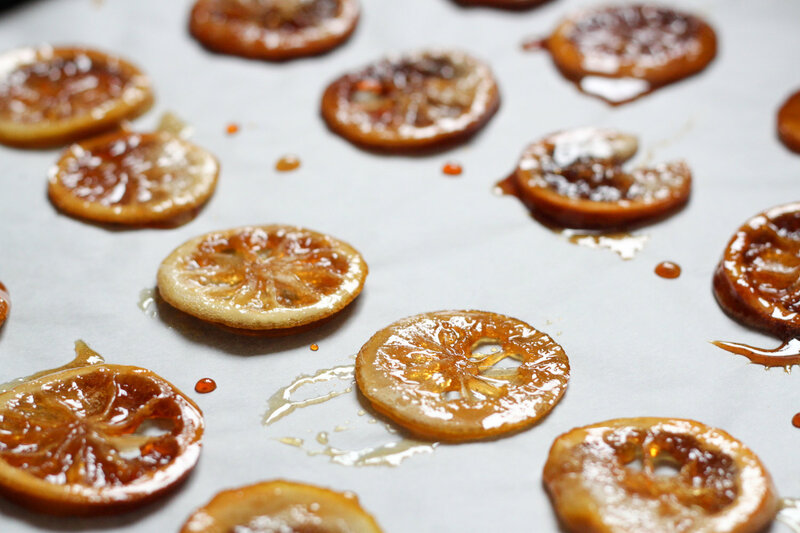 First, make the candied lemons: Prepare an ice-water bath and set aside. 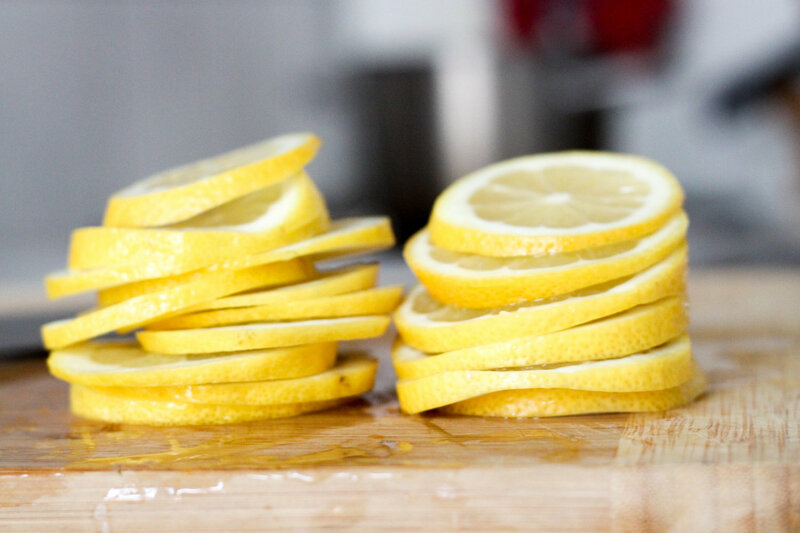 Cut lemons into paper-thin slices. Discard the seeds and both ends of the lemon. Bring a medium-sized saucepan of water to a boil. Remove from heat, add lemon slices and stir for 1 minute. 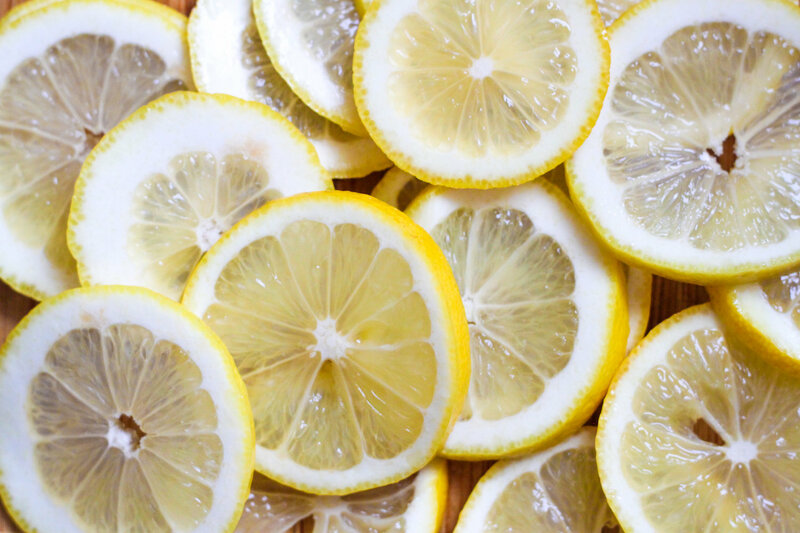 Drain and plunge lemon slices into the ice water. Drain. In a skillet, bring sugar and water to a boil, stirring until the sugar dissolves. Turn heat to medium-low. Add lemon slices in as close to a single layer as possible. Simmer until the rinds are soft and nearly translucent, about 1 hour. 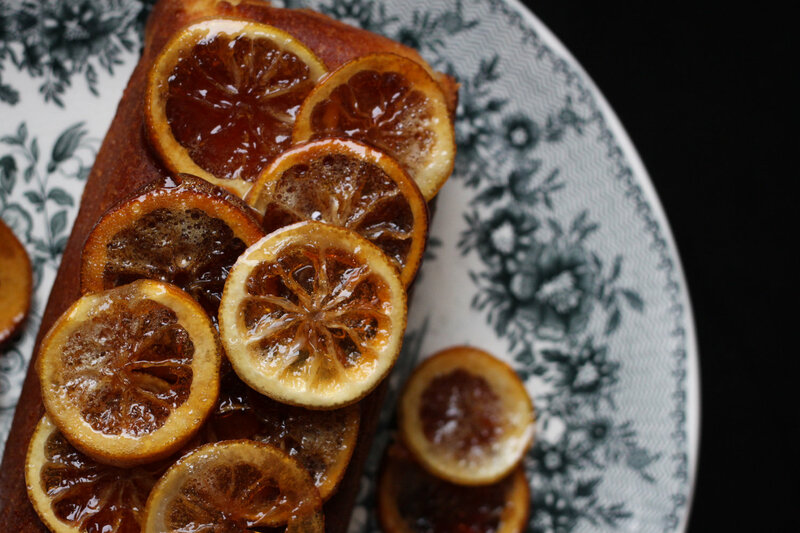 Check on your lemons every now and then to make sure the sugar isn’t caramelizing (i.e., burning). If it’s starting to look too dark, turn the heat down. Transfer to a sheet lined with baking paper and set aside. Pre-heat the oven to 350 ºF (180 ºC), and line a loaf pan with baking paper. Wash lemons under hot water, then grate the peel. Juice the lemons (about 4 tbsp. ), and mix with lemon peel, vanilla extract, and salt. Add butter and sugar, and cream with an electric mixer. Add eggs one at a time, then add the baking powder and flour in increments until well combined. Pour the batter into the loaf pan. Bake for 55-60 minutes or until a toothpick inserted into the center of the loaf comes out clean. If the top of the cake starts to turn dark, cover it with foil. 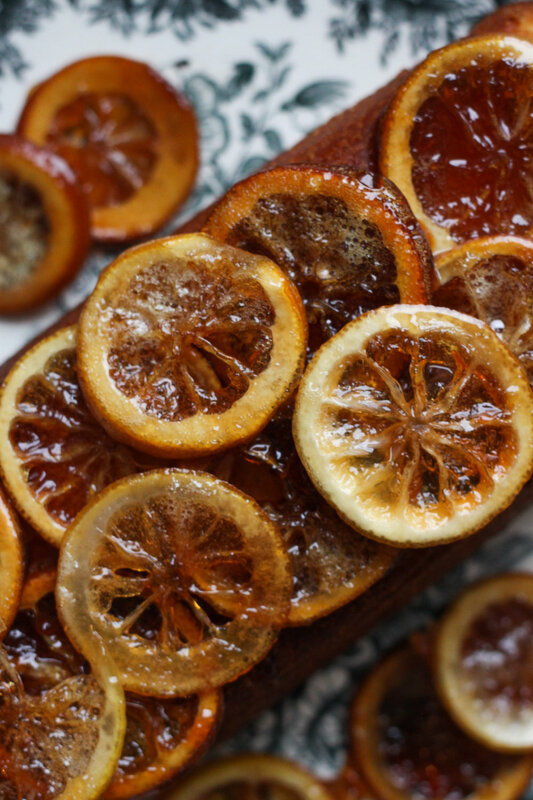 Without removing the cake from the loaf pan, poke holes into the top with a toothpick. Whisk 2 tbsp. 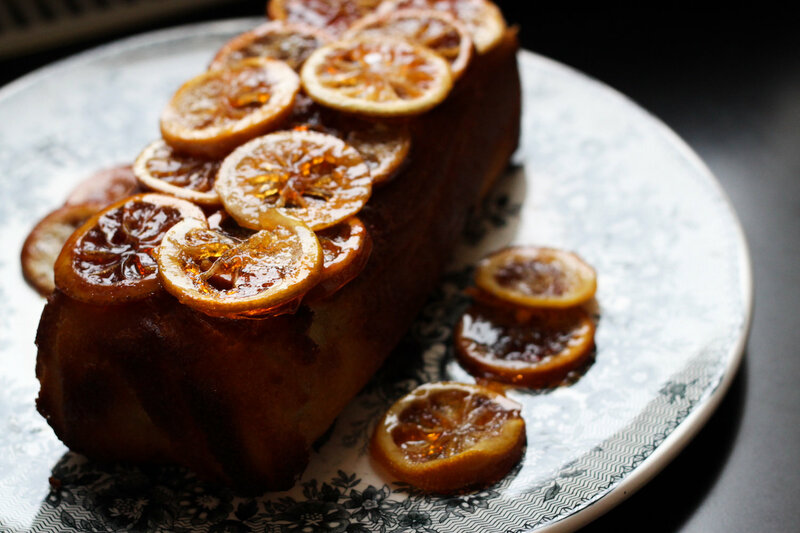 of lemon juice with powdered sugar and pour over the cake, dispersing it evenly with the back of a spoon. When the cake has absorbed the glaze, flip it out of the loaf pan and onto a serving tray (it will now be upside down). 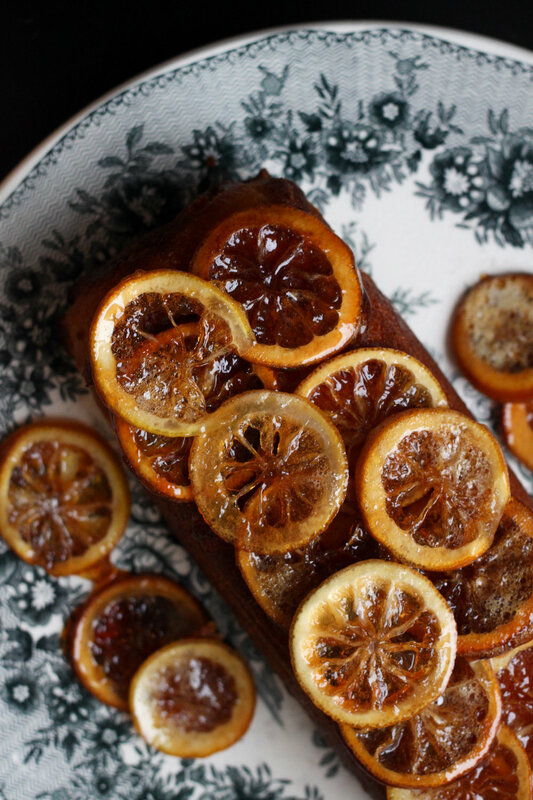 Decorate with candied lemon slices. I’m gonna try this this weekend. It looks delicious! Awesome! I’d love to hear how it turns out!